Category: Solid Braids. Tag: Diamond Braid. 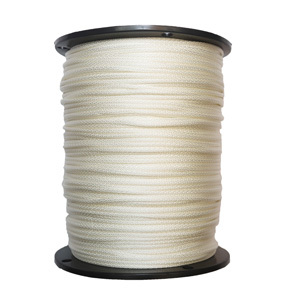 Our diamond braid multi-filament PolyPro rope is a great general purpose rope with good knot retention that is low stretch, flexible, rot and mildew resistant and will float in water. Ideal for use with anchor and dock lines, water sports, over pulleys, ladder replacement rope, on the job site and animal tie-down.